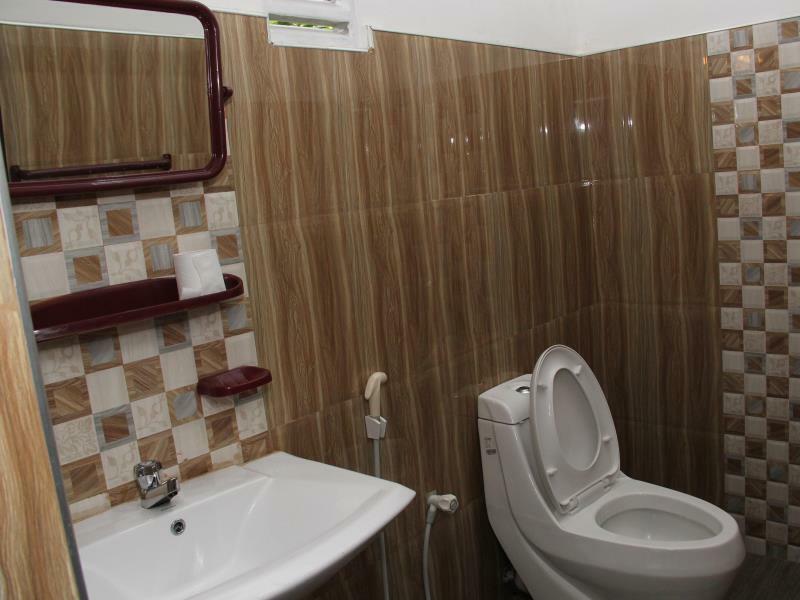 Ada pertanyaan untuk Shanith Guest House? Terletak di area Jalan Pantai Negombo yang menyenangkan, Shanith Guest House memiliki posisi yang sangat bagus di pusat pantai, restoran, berbelanja di Negombo. Pusat kota terletak hanya sekitar 2. Km dan bandara dapat ditempuh dalam waktu 20 menit. Yang tidak ketinggalan adalah akses mudah dari hotel ini ke sejumlah obyek wisata dan landmark kota ini seperti Taman Pantai Negombo, Bluemoon Jewellers, Selyn. 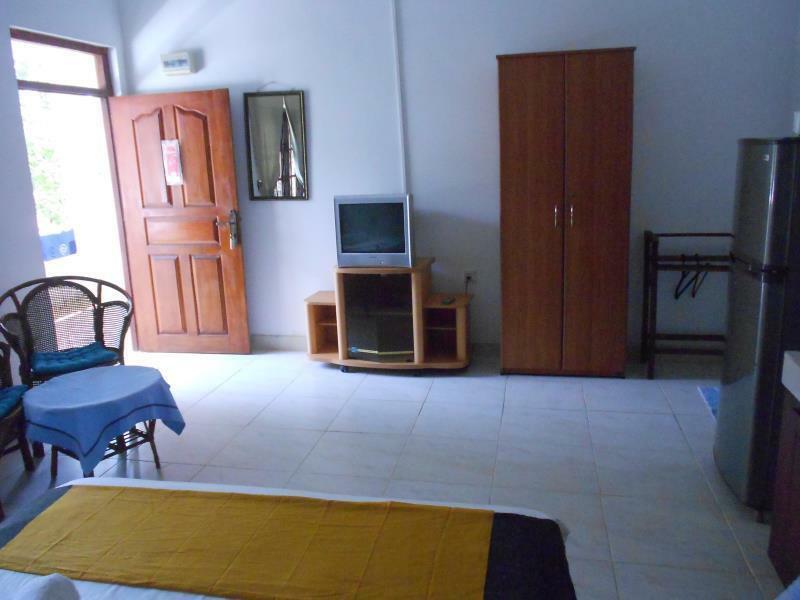 Shanith Guest House juga menawarkan berbagai fasilitas untuk memaksimalkan pengalaman menginap Anda di Negombo. 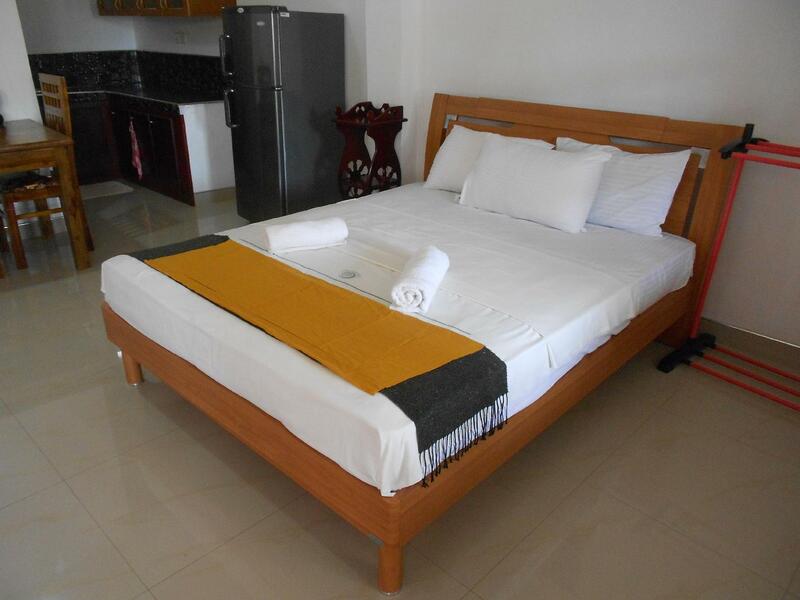 Hotel ini menyediakan akses ke sejumlah pelayanan, termasuk layanan kamar 24 jam, WiFi gratis di semua kamar, layanan taksi, resepsionis 24 jam, check-in/check-out cepat. Masuki salah satu dari 3 kamar yang menggoda ini dan lepaskan rasa penat Anda dengan sejumlah fasilitas yang tersedia seperti televisi layar datar, akses internet - WiFi, akses internet WiFi (gratis), kamar bebas asap rokok, AC. Daftar lengkap fasilitas rekreasi tersedia di hotel termasuk sauna, berski, menyelam, memancing, spa. 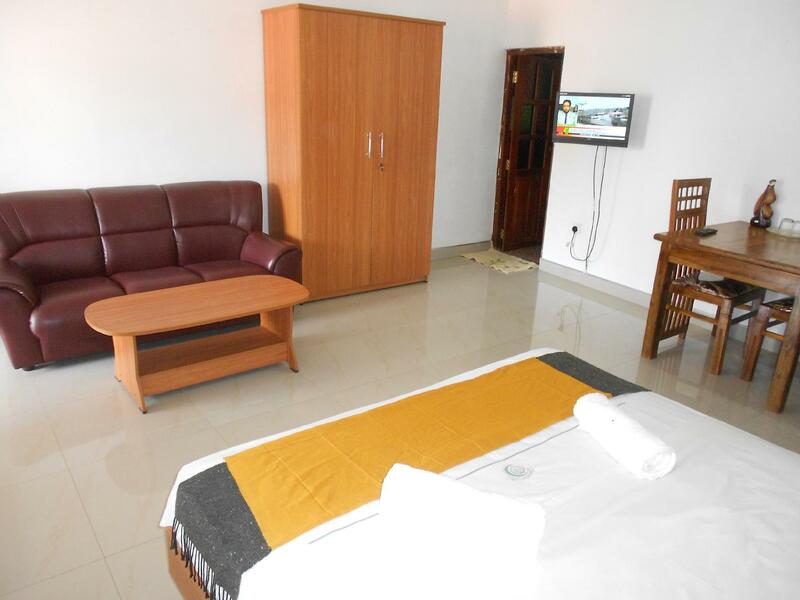 Apapun tujuan kunjungan Anda, Shanith Guest House adalah pilihan istimewa untuk menginap di Negombo. Just passed through after arriving late. Were help and was in an easy location. Ended up renting a car ( w driver) for 6 days. The driver was great and very safe. Had a really nice first time in Lanka. We were satisfated, very hopefull and kind emplyees, everything clean and nice treatment from manager too. I can highly recomment this guest house. Nice room. Friendly staff. Close to airport. Could not be better. Excellent first/last hotel for an international flight to Sri Lanka. The property was located in a quiet side street 30 metres from the main road. There were maybe 10 rooms max in the building and I think mine was one of the delux ones, although my use of the word delux I would reserve for something with a better finish. Having said that, I was happy with the room at the price I paid. The owner/manager was a pleasant chap and went out of his way to supply me with my morning fill of tasty fruits for breakfast (quantity not lacking). The lady who served and prepared the meals was very nice and spoke reasonable English. The rooms were regularly cleaned and benefitted from both a ceiling fan and air conditioning.l Just outside my room on the public veranda there was a seating area with 2 little coffee tables and a fish tank with too many fish in for a tank of that size. But that's just my opinion, as I am a vegan and I don't like to see animals who are kept out of their natural habitat or confined in cages or tanks at all. I hope the proprietor leaves this personal opinion in the review. Most people would not mind the fish tank I am sure. There are of course many more up market properties than Shanith but for the money, relative comfort, helpful and pleasant staff, reasonable location ( five minute walk from tiny train station ; 2 mins from beach; motorbike hire close by ; short tuc tuc ride from Negombo fish market ; plenty of local restaurants) I would say this guest house was one for consideration when choosing where to stay in Negombo. Thanks, Mick from UK. The first impression when I welcomed a lady was friendly - did not finish until the manager come... It was an unpleasant, unhelpful and arrogant guy who has had a hook ... I do not recommend even sleep there for free ... disaster and disgrace for people living in Necombo ... because I met there much more sincere and caring people ...Never again!!! Stay was very nice. Nice size room and good location to everything. It would have been nice to see the staff a bit more. Very friendly staff. Rooms are ok, location is central and good. Hotel restaurant no longer open, breakfast was poor. Staff were incredibly helpful who helped us through a visa and flight rebooking crisis. Room was sparkling and large. Location and proximity to beach. EXCELLENT. Would highly recommend a 1 to 3 dsy stay. It was what I expected. A cheap basic hotel. Good location. Good, filling breakfast. Many restaurants in walking distance. the expensive rooms are okay. the single bedrooms are under the roof with no real walls, only paper "walls". not very clean and right next to the breakfast room. the butter at the breakfast was served in an old used small bowl, service was bad, they wanted me to pay the breakfast in spite of having booked incl. breakfast. bread was hard/not good. for the coffee i was given the can with the coffee instant powder (as almost empty had to ask for a new one) and a pot with hot water...!!! no good value for the price that i upgraded the room to an expensive double room bc the single rooms were nothing! at least the bed of the expensive room was good. i will not go there anymore. Please don't stay in this dirty guesthouse. There were stains on my bedsheet and blanket.It was not worth it at all. 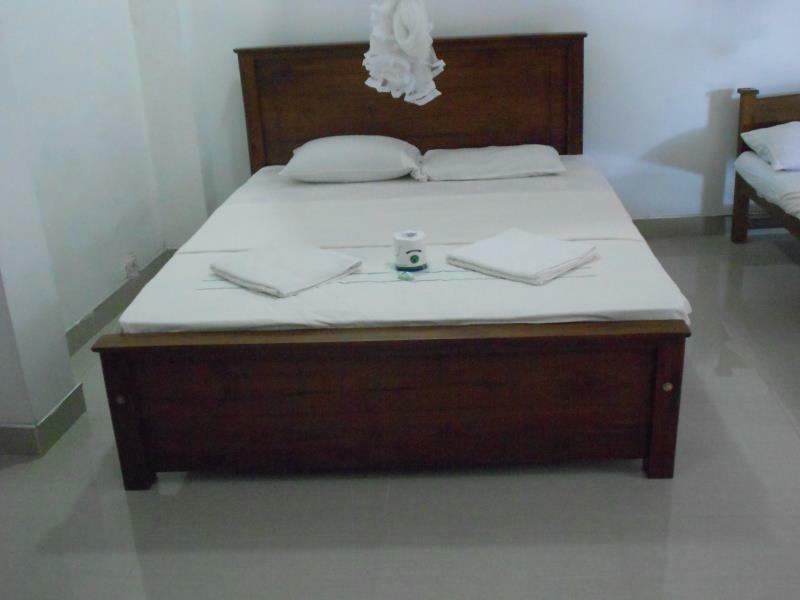 Do find a better place to stay if you gonna visit negombo.